In May 2015, Chrome had over 1 billion users across the world, and has added the second billion in about a year and half. 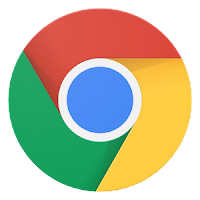 Google's Chrome browser has garnered 2 billion active installs across all platforms, said Darin Fisher, VP Chrome Engineering at Google. Speaking at the Google Chrome Dev Summit conference yesterday, he announced this landmark feat for arguably the most popular Internet browser right now. Active installs differ from active users - installs reflect users who have installed Chrome, but may or may not be using it as the primary web browser. Meanwhile, active users reflects those who have Chrome as their primary web browser. The figure for active users is bound to lower, especially on mobile phones, where manufacturers such as Apple make their own browsers available. Chrome has a higher market share with Android smartphones, being pre installed with every device. “I wanted to make this point that there are a lot of Chrome browsers out there,” stated Fisher. “What’s exciting about this to you all is that when you think about building for the web, there’ a lot of browsers out there that implement the latest web standards — that implement the latest and greatest web features,” he observed. The 2-billion active install landmark is the most recent milestone reached by the company. In 2015, the company had announced that there were one billion users for each of Google's core services such as Search, Chrome, Android, and YouTube. Gmail lagged slightly behind at 900 million users every month.